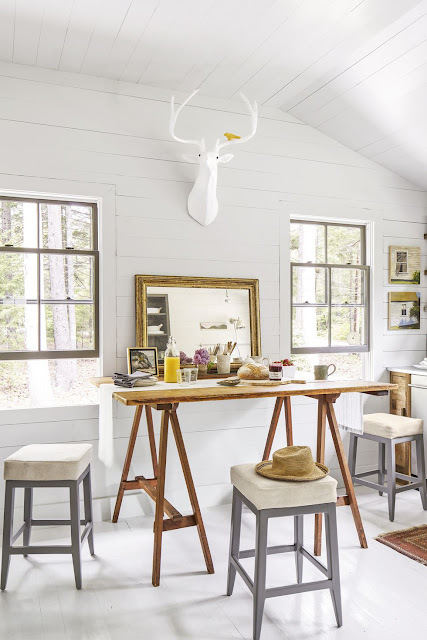 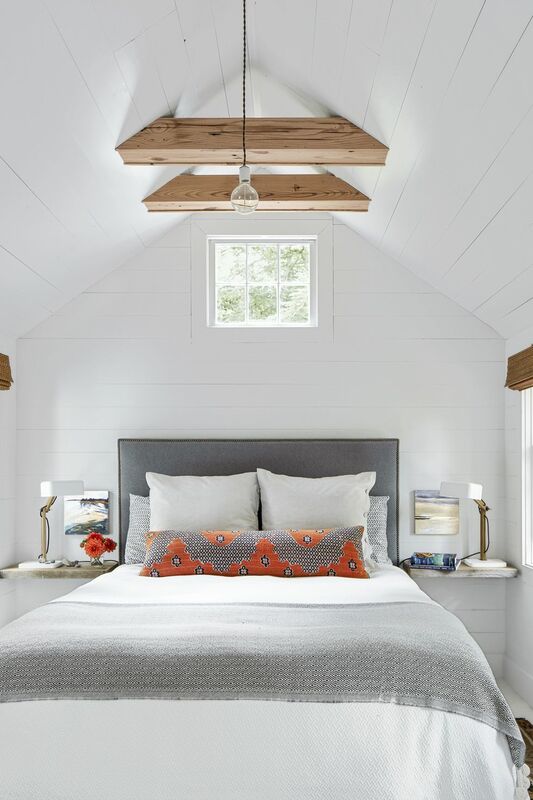 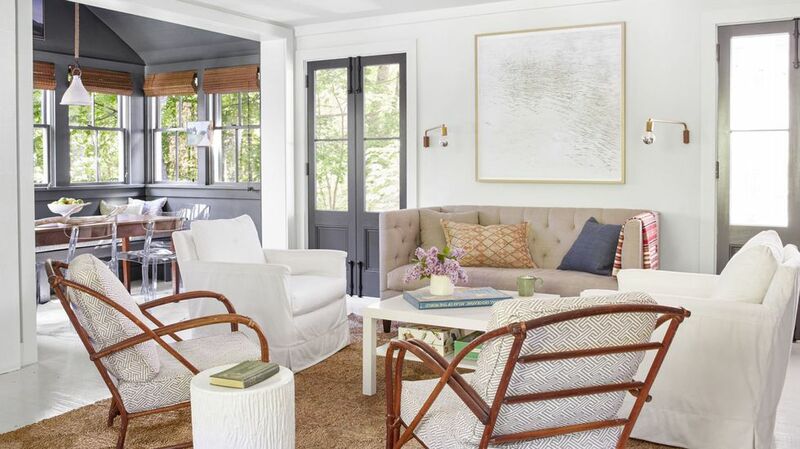 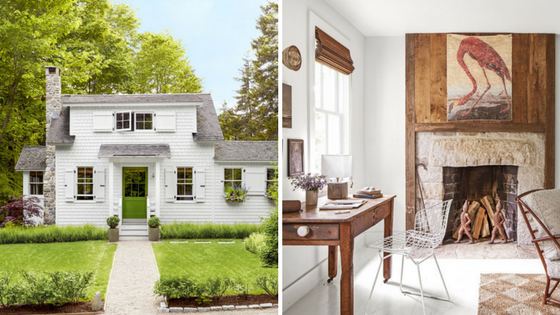 A cozy and flawlessly designed cabin that truly captures the charm of New England style! 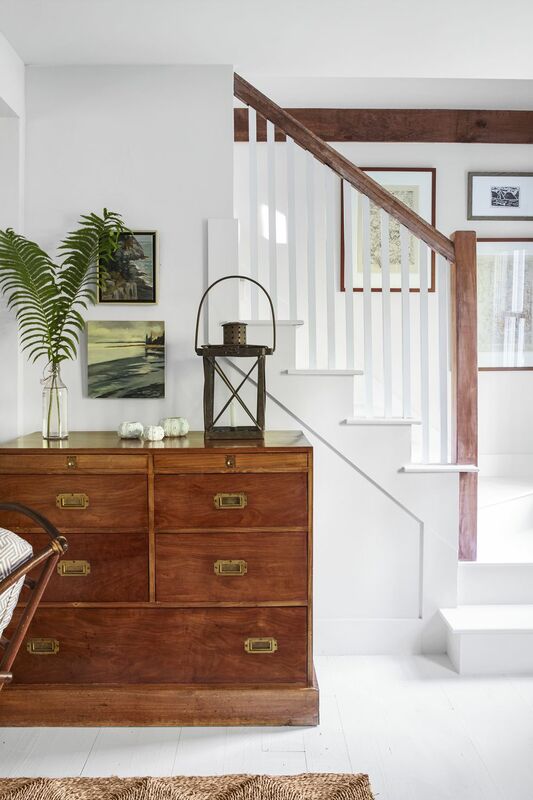 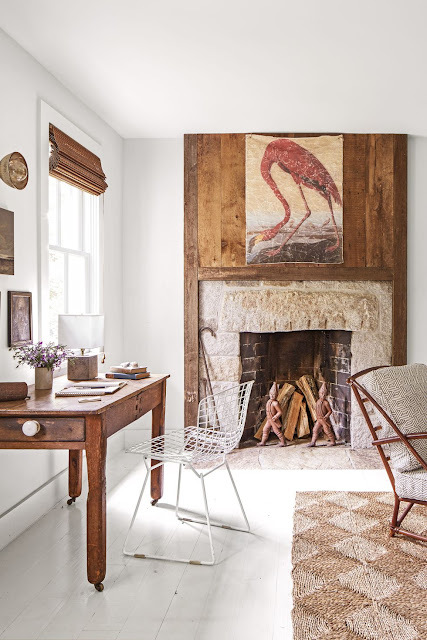 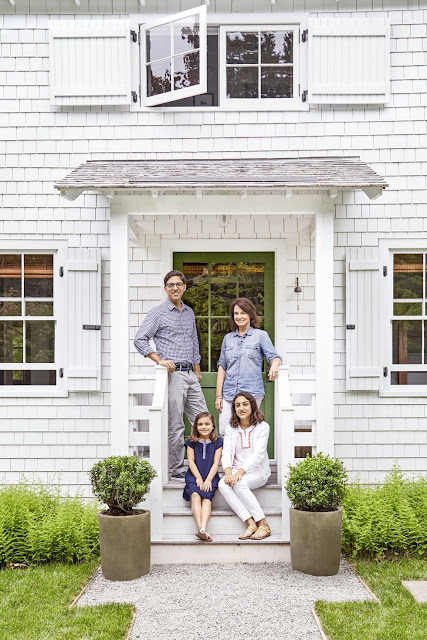 This 1,200-sq-ft home was purchased by the owners of South Carolina-based design firm, Gray Wade Design and Development as a fixer-upper. 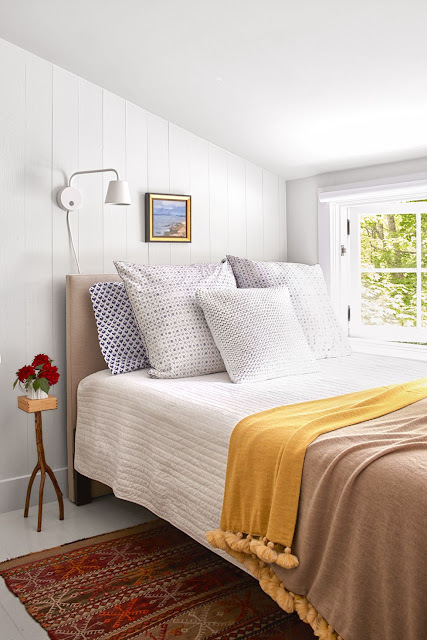 Designing a cottage in Maine from South Carolina was no easy task, but thanks to strategic planning and online shopping, it was done! 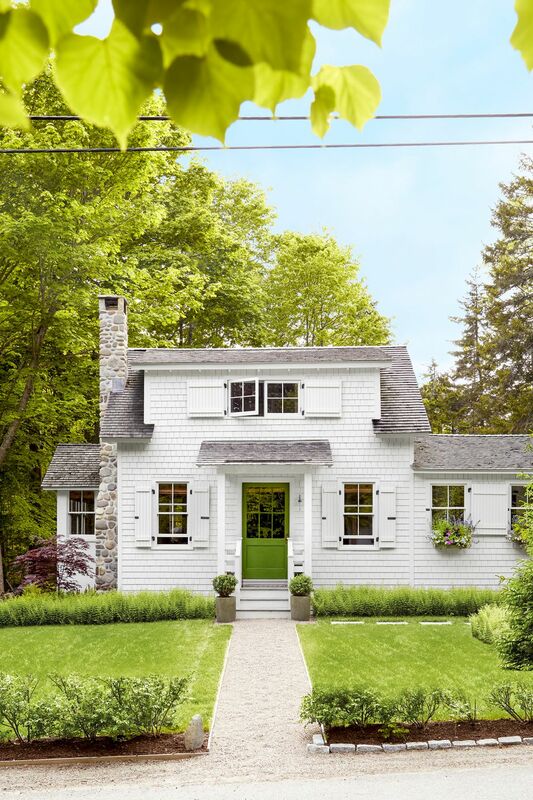 The new and updated cottage features a bright, airy look that capitalizes on all the available space. 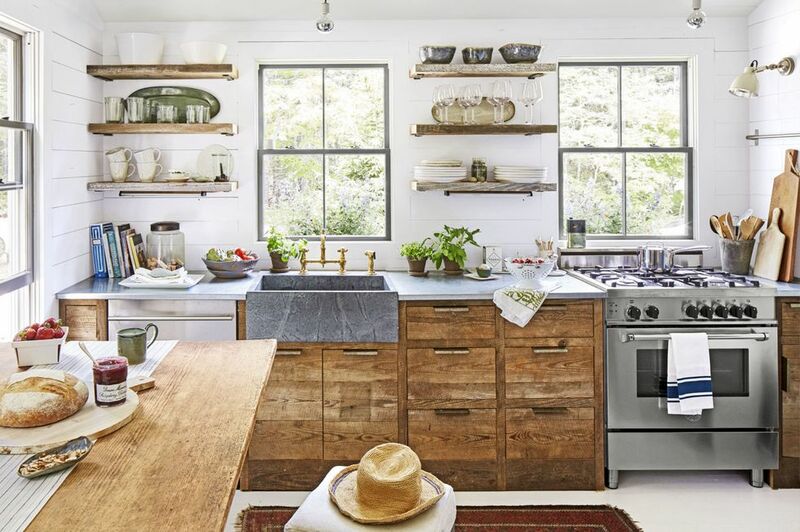 The kitchen utilizes reclaimed South Carolina barn wood, galvanized metal, and a soapstone sink for a unique, rustic look. Instead of counter space, the owners opted for an antique drawing table for use as prep space and a dining table. With no central heat available, a granite fireplace was installed to keep the home warm in the colder months. 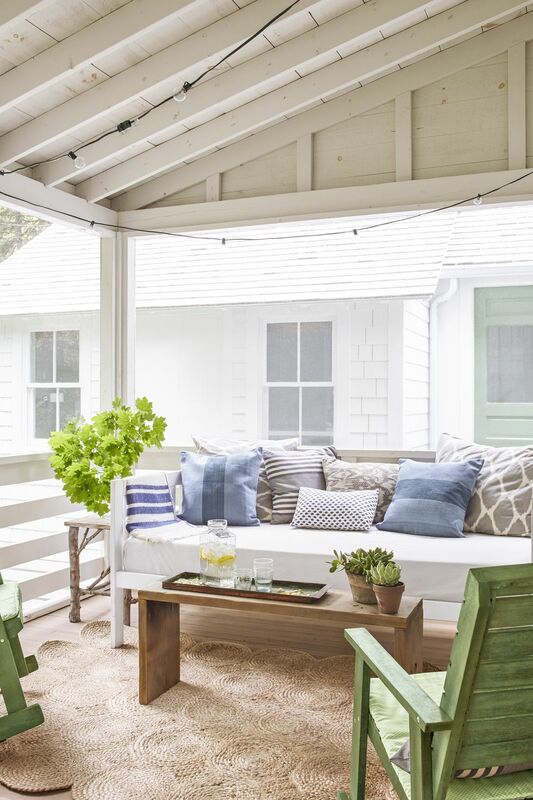 Right outside the living room is a 250-sq-ft outdoor communal space, perfect for gathering with friends! 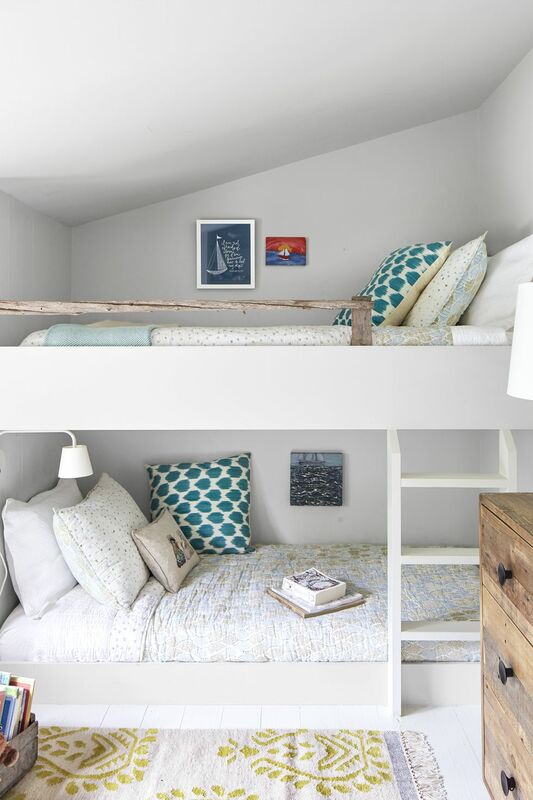 Despite the cottage's small size, it fits three bedrooms in total! A master bedroom, a second bedroom with bunk beds for the kids, and a 10-ft wide guestroom!